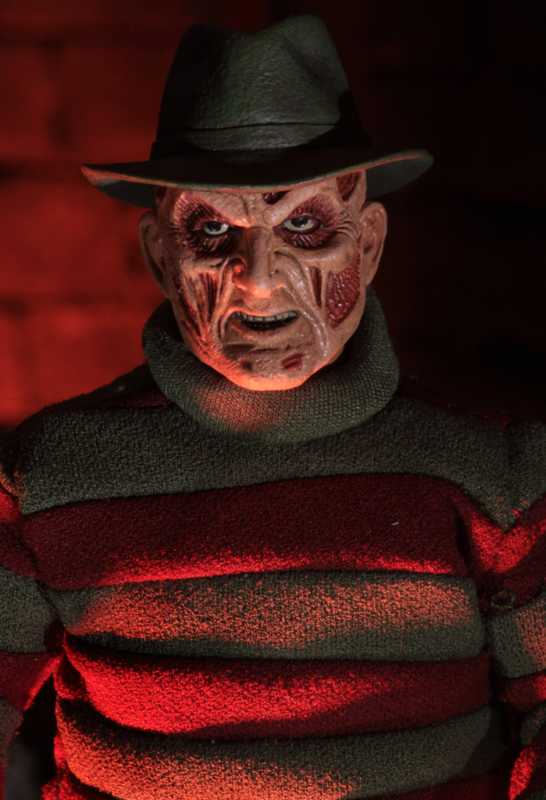 “This Time the Terror Doesn’t Stop at the Screen.” And it could come straight to your collection Q3 2019! 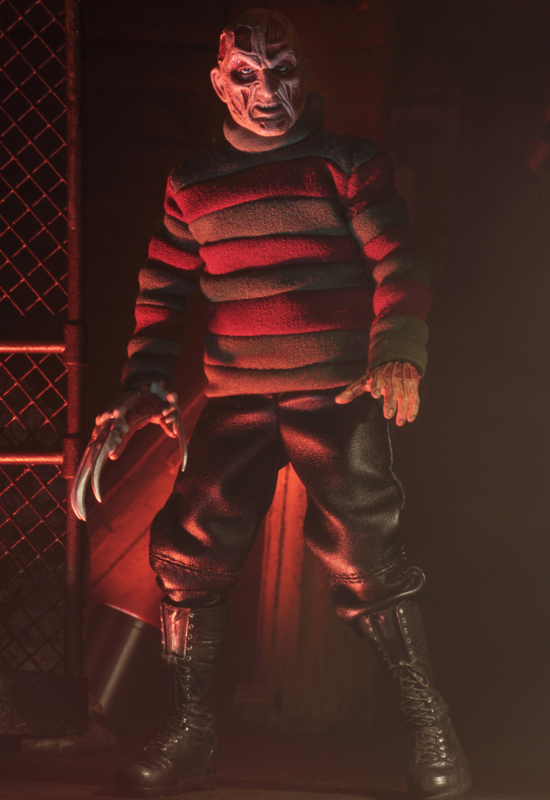 NECA has unveiled its upcoming Freddy Krueger clothed action figure from Wes Craven’s New Nightmare. The figure dons a cloth sweater and coat, and pleather pants. 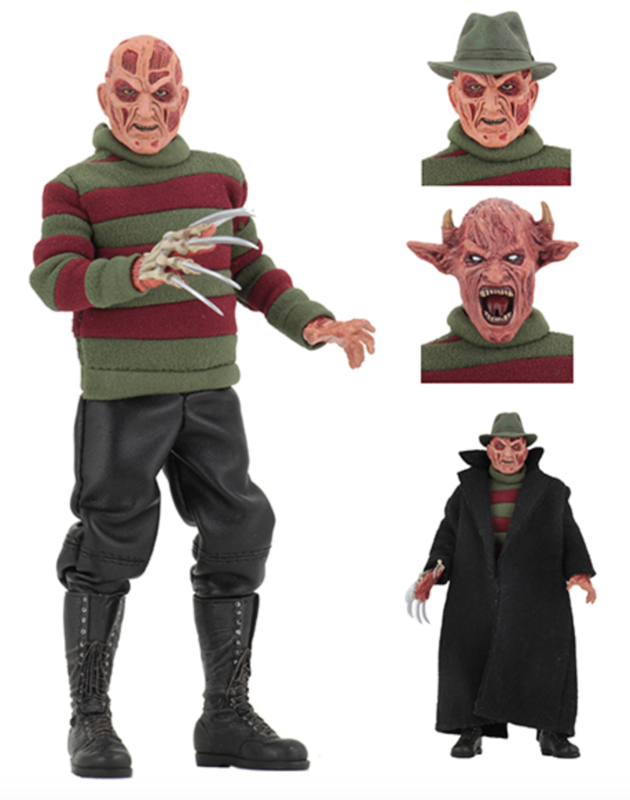 Freddy comes in resealable clamshell packaging so you can unleash the nightmare or keep him at bay. 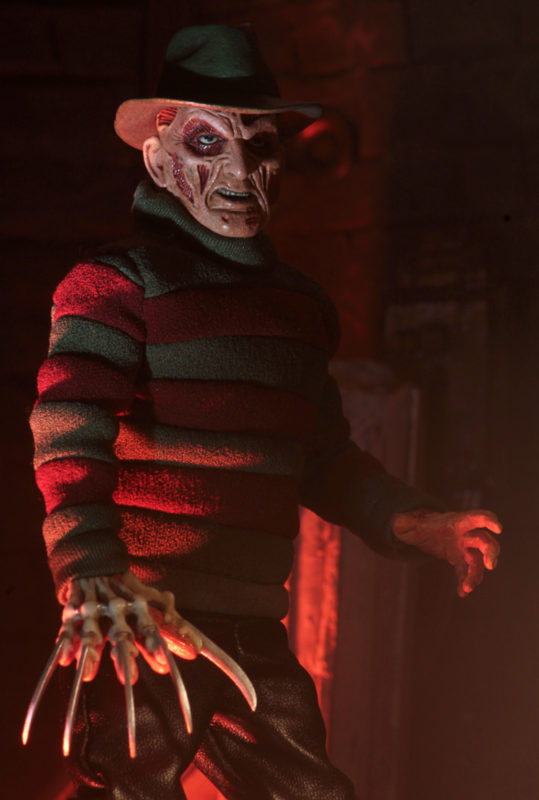 Check him out and learn more on the NECA site. In a town where movies go over schedule and directors go over budget, something far more evil went out of control in 1994’s Wes Craven’s New Nightmare. When an ancient evil under the guise of Freddy Krueger sought to wreak havoc on our world, the only person who could stop him was the woman who gave his greatest foe her strength, Heather Langenkamp. Heather became her character, Nancy Thompson, one last time to battle Freddy in order to save her family, herself and, quite possibly, the world. 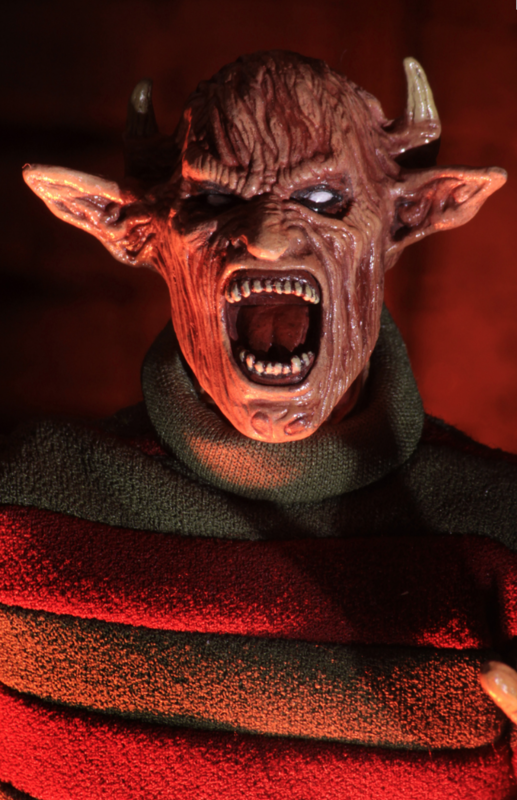 Discover more about New Nightmare here on our site, including the film’s script, press kit, posters and more. Go now!